As a young cattle producer and a mother of six, I learned how to testify at the state capitol in Denver back in the early nineties. I would go and testify about predators killing our livestock. I had many pictures showing the damage and the dead calves from coyotes and mountain lions in Southeast Colorado. In fact, my very first 4-H heifer at the age of nine had her first calf killed by a coyote. Every time I’d testify I’d also remind people that I RAISE these predators. Yes, I supply the habitat and land and water on my private property for them to exist. Do we hunt them? We sure do, but if you have ever been in the Purgatoire Canyonlands you will realize the hunt is not an easy one plus it takes time that producers don’t have. A gentleman from Boulder by the name of Pat Craig of the Wild Animal Sanctuary in Keenesburg, CO, has decided to bring carnivores in cattle country. Yes, the cattle country of Southeast Colorado where I grew up. I am a native of Southeast Colorado and no, I did not inherit my ranch. My late husband Dave and I bought it and the cattle that graze here, which is my capital investment. This investment is what makes the majority of my income and my way of life. This ranch has been here in my family 60 years as my grandparents came from Texas to Kim, CO 101 years ago. I am not a “newby” and have a lot of experience in raising cattle and living on the land with my family, which I am proud of. As a young girl, my three sisters and I worked this ranch and worked hard, just like men. After going to a Southern Colorado Livestock Association meeting in Branson, Colorado and hearing Mr. Craig’s reasons for coming to Southeast Colorado, it is apparent to me that he doesn’t understand the impact the new “Refuge” will have on the cattle producers and how difficult it will be to keep these carnivores in their enclosures. Historically, this area is very rural and has always had cattle grazing on it since the Homestead Days of my grandfather. 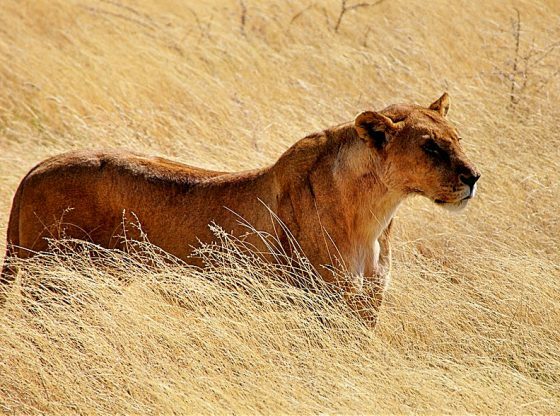 It is a foregone conclusion that the carnivores and predators will escape. Upon a severe weather event, there is no way that the “Refuge” will be able to keep those carnivores and predators within their fences. This country’s terrain is drastically different than Keenesburg in Weld County. No one should be surprised that livestock producers would oppose such a needless burden on our private property. I pray that the people who are pushing this will not bring their carnivores and predators such as wolves, bears, tigers, lions and mountain lions here into our historic region. We have enough predators here as I lost three calves to mountain lions last spring, we don’t need more. I vote NO to carnivores in cattle country. The Wildlife Sanctuary is planning public meetings to garner support for the predator facility near Springfield. If you’re interested in commenting or attending public meetings, you can see more on their website. Kimmi Lewis is the State Representative for Colorado’s House District 64, the largest and most rural of all of Colorado’s districts. 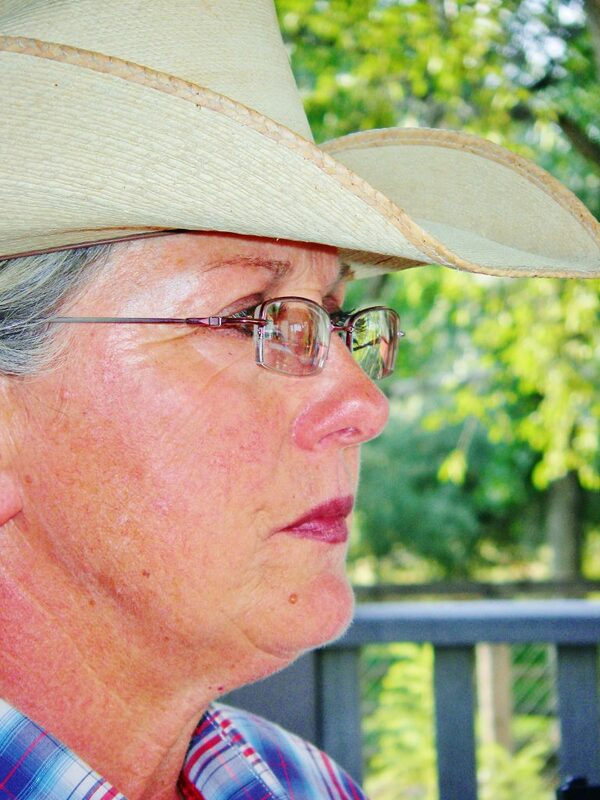 She is a rancher with a history of defending ranching and agriculture. In 2016 she introduced a bill that would protect ranchers and their property from the overreach of aggressive federal agencies. Sorry about your problem but that’s the loss you have to deal with as a rancher. I also live on a ranch with 200-300 heads grazing our 17,000 acre ranch with mountain lions, bears, coyotes etc. Mountain lion kills are common as 99 percent of kills are mule deer and elk. Last year we lost one cow that was shot by an a-hole resident trying to keep cattle away from his house. We get maybe one or two cows lost ever 2-3 years. It’s colatarel damage that ranchers should expect. So no I will not vote with you. If you can’t deal with your losses maybe you should find another line of work. You sound like the paid responder. That’s really not how keeping predators in a menagerie works, and the risk to your cattle is minimal. Perhaps you should get out of the cattle business rather than rag on owners of menageries if you’re going to spread ignorance like this. you have attended no meetings that I can see from sign up sheets.. So I pretty sure, you are just a paid responder. Which is the what the kind of people who pull this kind of crap on ranchers are. I, too, am a native of Baca county and still own land there. I deeply respect the hard work of all the farmers and ranchers who have made it a great place to live. However, with all due respect, I believe you are wrong about the Animal Sanctuary. I believe you are not fully educated about the various animals nor about th safety of their enclosures. Please, investigate further before offering such and opinion! Need I remind you that Baca County has decade after decade has suffered from economic losses and losses of jobs, and the migration of young people out of the area. This is the one chance since the fifties to bring back some jobs and help the economy. Ranchers alone cannot sustain the communities and keep them from totally dying out! With the Animal Sanctuary Baca County has a chance at least of becoming a well known place that might even attract some people to take a look at it as a home again. I love my childhood home and want to see it become a more sustainable place for people to live and thrive. Please, educate yourself a bit more and reconsider your stance for the good of everyone in the county, not just the ranchers. From what They have posted and what they have revealed, you have been misled… They don’t intend to employ locals after the building is done, they expect volunteers. There is no way they can cover all the mud gaps in a terrain that they have absolutely no familiarization with… There has been several people investigating that going on with the Sanctuary people and you, for sure, have been misled… (That polite for you are being lied too). Ed has nothing to do but try to minimize any comment not supporting an entitled rancher. If I am indeed a paid responder as Ed will claim whomever is paying please send my check ASAP! Can you send me the check please Ed? Who’s paying you for your biased comments? Let me tell you something, if I may. I’ve been a supporter of the WAS for a long time. They’ve been in Keenesburg for a long time. When was the last time you heard about any of the animals they have in a Keenesburg escaping? Have you even BEEN to the sanctuary there to see how they do things? When was the last time you heard in the news a lion or a bear escaping from their zoo enclosure? It’s not like this is the first time they’ve done this, and I’m sure they know a lot more than just building a 6 foot chain link fence and setting these creatures loose. The sanctuary up north, their fences are HUGE. And when I say huge, I mean like 50 some odd feet huge. And I’d be willing to bet that they have something in place to come prevent the animals getting out underneath the fencing units. So no. Those big bad predators aren’t going to just walk out the front gate and eat your cows. Calm down and think logically. Do your research before you go and talk about stuff you aren’t willing to learn about. The predictors that migrated there are the only one that should be allowed. If commercial predictor farming is allowed in Baca Co. animals should have tracking devices and owners should be held responsible for distruction of others private property. Most of my family is buried in Kim Cemetary. Villegreen Co. was my home! Absolutely and totally uninformed–and the epitome of fear-mongering. How is it 3 million people in the Denver Metro Area can live safely with a zoo full of dangerous and venomous creatures and not have a problem? My god, people even walk their pets nearby in City Park and the predators there don’t attack them! Why isn’t she protesting at their gates? Pure ignorance. Just like everything that Mr. Hunnicutt says. So true!! They’re just trying to spread fear, with their ignorance!! The part that bothers me the most is that I voted for you as MY state representative. Obviously you don’t represent me at all. You ONLY represent the ranchers in the direct vicinity of the animal refuge. I can guarantee you that I will not be voting for you in the upcoming election. I thought Kimmi Lewis was elected to protect property rights. Not try to dictate from a position of power what we can and cannot do with our own land. It seams the only time she is on the side of the property owner is when it fits her narrative. So true. As they say, with friends like her, who needs enemies? Doesn’t she realize that the Sanctuary/Refuge is in her district and therefore is one of her constituents? I thought representatives were supposed to support their constituents, not actively and vocally fight against them. The stance taken by Representative Lewis is unashamedly self centered and contradicts the long time area resistance to expansion of the Pinon Canyon Army training area. How can Representative Lewis believe that the Army should not take property rights (even with compensation) but she and others can dictate (with no offer of compensation) what happens on their neighbor’s land? The animal sanctuary has been operating for many years at their Keenesburg location and I have heard no claims of damages from escaping animals, so it seems that escapes are very uncommon. In the unlikely event that a predator escapes and causes harm, the legal system is available to remedy the damage.